The first premium theme I purchased as a WordPress guy was the Revolution theme by Brian Gardner. This was over six years ago and I haven’t stopped being impressed with the products coming from Brian and his team at StudioPress. 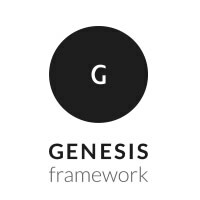 The Genesis framework was developed a couple of years ago and is the foundation of every theme I build today. I thought I’d take a moment and share WHY I love it so much. The Genesis Framework is filled with features. It’s search engine friendly, extremely fast, secure, offers lots of layout flexibility and offers a fully responsive foundation for your web site. Think of it as the foundation of capabilities for your WordPress theme. Genesis works on the parent / child theme relationship that’s available in WordPress. Every design we start with has Genesis as the starting point, then I can build a child theme that adds the design and features your specific site needs. If Genesis adds a feature like they did recently with HTML5, then simply upgrade the parent theme and that feature becomes available to your web site. Customizing the layout or adding a new widget area is so straight forward with Genesis. Genesis combines hooks, filters and shortcodes to allow me tune a design to my clients specific needs. With ease. Whether you want to move a menu, edit breadcrumbs or add an author box to posts, Genesis has you covered. Want to remove the sidebar from a single blog post? Yup, you can do that. Maybe you want to change the sidebar on blog category, guess what, you can do that! There are so many possibilities with the Genesis theme it’ll be hard for you to imagine one that can’t be done (within reason of course). There are lots of places where you can purchase a theme. Some are good, some are okay, some are downright horrible. Key difference between the great locations and the bad locations? Support. Genesis kills you with support. From their never ending documentation and tutorials to their forums and direct support. You’ll never be lacking for a helping hand when working with Genesis. I have so many of their resources bookmarked and it makes doing my job that much easier. This is by far one of my favorite “features” of Genesis. That’s the community that surrounds it. There are a ton of designers, developers and users ready and waiting to help you when a question or problem might arise. So many people have been a part of my experience with this community that I can’t possibly list them all. I would like to recognize a few folks as they or resources they have created have been extremely helpful when I’ve needed it. Travis Smith has given freely of his knowledge both in the support of questions and amazing tutorials and plugins for Genesis. Bill Erickson has a wealth of genesis tutorials that never fail to come in handy when a customization is needed. So many times I’ve googled a question and he’s already written a tutorial on how to do it. Brian Gardner – This guy started it all for me and has always been available to answer a question or guide me in the right direction. Beyond these guys, simply hopping into the StudioPress forums has always yielded me quick and helpful support from a large community that just can’t stop giving back. The biggest reason I love Genesis? They NEVER stop improving! Adding features, releasing new themes, launching plugins and new services. Genesis and Studiopress continue to grow each and every day! LOVE IT!! If you’re looking for a new theme, I highly recommend checking them out!